My new book, The Passion Paradox is on sale now!! Instead of spending paragraphs explaining why you should buy it, I want to show you why this book is so important to me. And if you resonate with what’s written below, please consider buying it or sharing about the book. Thank You! Also, we are so close to being a best seller, that we decided to give away a bunch of running stuff if you order by today! Buy the book and then fill out this form. For years, everywhere I went, I’d be introduced as a runner, or the guy who ran the mile in 4:01. It was as if he had those two facts tattooed across his forehead. No matter what else I accomplished — on the road or off — I felt stuck. That’s who I was: a runner. When everything was going well, I took pride in this identity. I cherished it, being known for something was a thrill. As my performance declined and I failed to live up to my own, and others, expectations, the identity I once carried with pride turned into my own personal scarlet letter. It got to the point that whenever I’d be introduced as the guy who ran 4:01 in the mile, I’d cringe. I didn’t want any of my prior accolades brought up. I didn’t want to show up to a track race, even if I was just participating for fun, because inevitably the announcer or someone else at the meet would remind me of my singular identity as a runner and the fact that I hadn’t improved since high school. With each mention of my past, anxiety and fear would surge through my body, making me instantly want to transport anywhere else. My identity became a heavy weight on my shoulders and heart because, at least in my mind, I could never live up to it. Instead of taking pride in the fact that I had had such great early success in the sport, it became a source of shame, representing a failure to reach my own — and, perhaps even more burdensome, others’ — perceived potential. That is how most of us carry around identities, whether for our friends and family or for ourselves. A defining statement, a short cut for summarizing. Identities seem permanent, but they are in fact malleable. It may seem like we are stuck as who we are, but our stories can be altered. It took a long time for me to let go of the singular identity of ‘runner’ that I carried around for most of my life. I had to realize that I wasn’t defined by any one moment or any one activity, I had to actively rewrite my internal story, in essence convincing myself that I was complex. That I had a diverse range of abilities and skills– beyond running fast in circles around a track. When we are young, it’s easy to shed our identities. When I was 10, I identified as a baseball fanatic, when I was 13 soccer was my world. But as we grow older a process of identity cementing occurs. As we get ‘known’ for something in a circle wider than our family and friends, it becomes even more difficult. The tendency is to shift to who we perceive to be by the outside world, instead of who we truly are. That doesn’t mean we are stuck. It just means it takes more work. 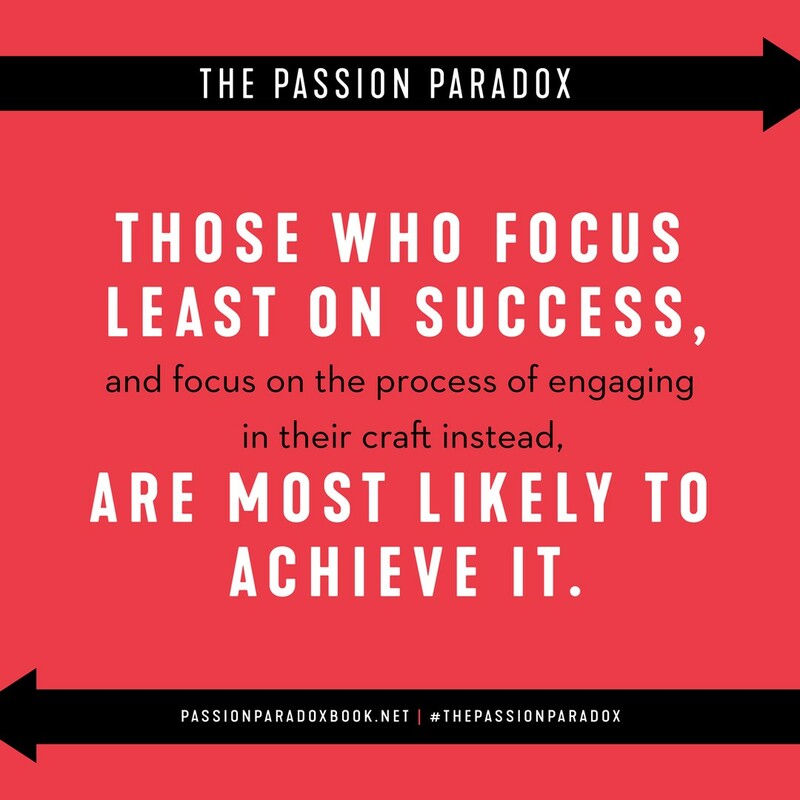 The Passion Paradox is part of that work. A deep dive into why we become obsessed with activities we identify with. And how to make sure that we don’t become so wrapped in it, that our lens that we see the world through becomes distorted. Just as mine was when I couldn’t see that running wasn’t solely who I was. I hope that you find the book helpful. It’s on sale for only $13, and It would mean a lot if you shared this post to friends, family, and on social media. Originally published at www.scienceofrunning.com on March 19, 2019.